Kiss the Blarney Stone? Why? What happens when you kiss the Blarney Stone, according to Irish legend? 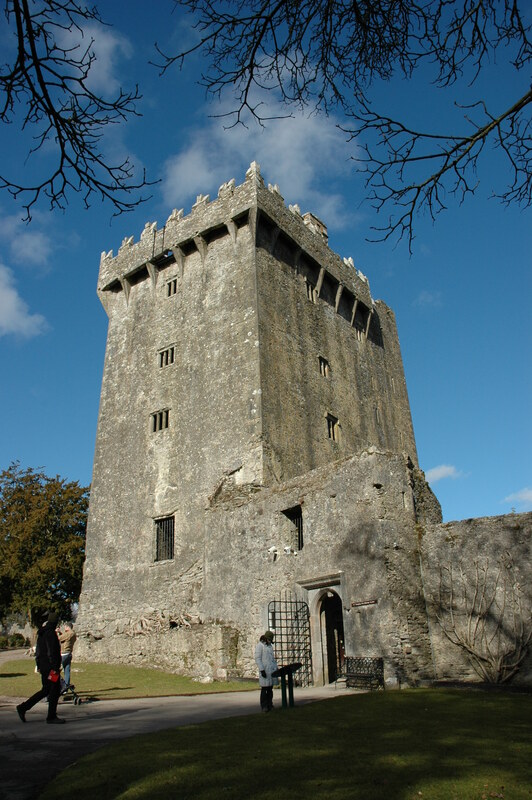 My husband and I recently visited Ireland and climbed to the top of Blarney Castle, near Cork. We saw folks emptying their pockets and removing their glasses and jewelry, lying down and scooching back, back, down, down, down, over three stories of empty space, to kiss the underside of a stone at the top of the castle. Why? Legend has it that if you kiss the Blarney Stone, you become more eloquent. Really? Is that all I have to do? And here I’ve spent 15 years of my professional life researching and teaching Rhetoric to my students so that they could become more eloquent! Rhetoric is the study of eloquence. How do people put words together to persuade their audiences? What makes them more persuasive than their peers? How did they persuade? We study the greats (and not-so-greats) in order to learn from them–what to do and what not to do. Then we become better writers and speakers ourselves. So go to Ireland if you can. Kiss the Blarney Stone if you must. But that’s just cheating. It’s not cheating if it works!